Buffalo has apocalyptic lake-effect snow, Minnesota has blizzards, Phoenix has horrific dust storms, Kansas has tornadoes, New Orleans has hurricanes. In the big picture, those of us who live in the Great Valley of California don't have much in the way of weather issues. I have yet this year to put on a jacket in the morning, and I only stopped wearing shorts a few weeks ago because I wore a hole in the pocket. It gets hot in the summer, but only occasionally drops below freezing. We've had two "snowstorms" in 25 years. No wonder so many arctic birds like to winter here. But we have one issue. 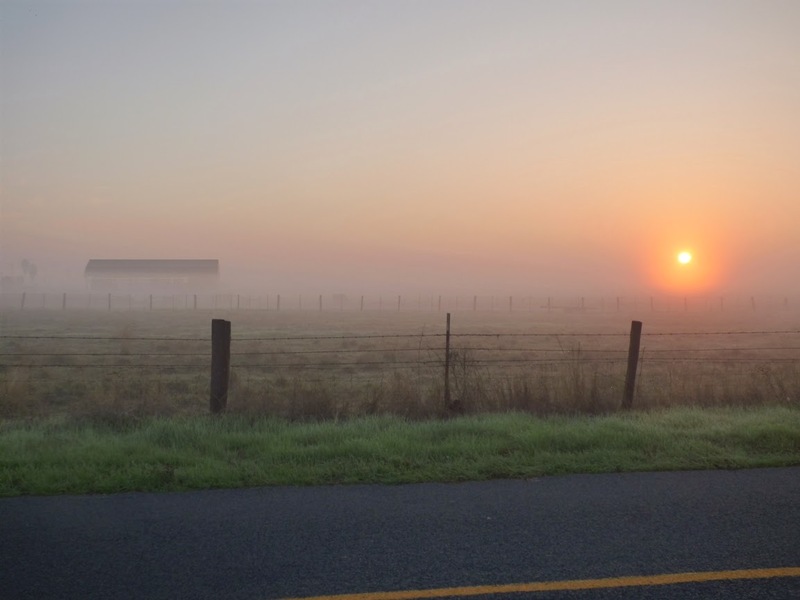 When the first rains fall in October or November, the Tule Fogs come. These are thick radiation fogs generated during cold periods when moist ground cools off during the night. The water vapor condenses to water droplets in a dense blanket at ground level. 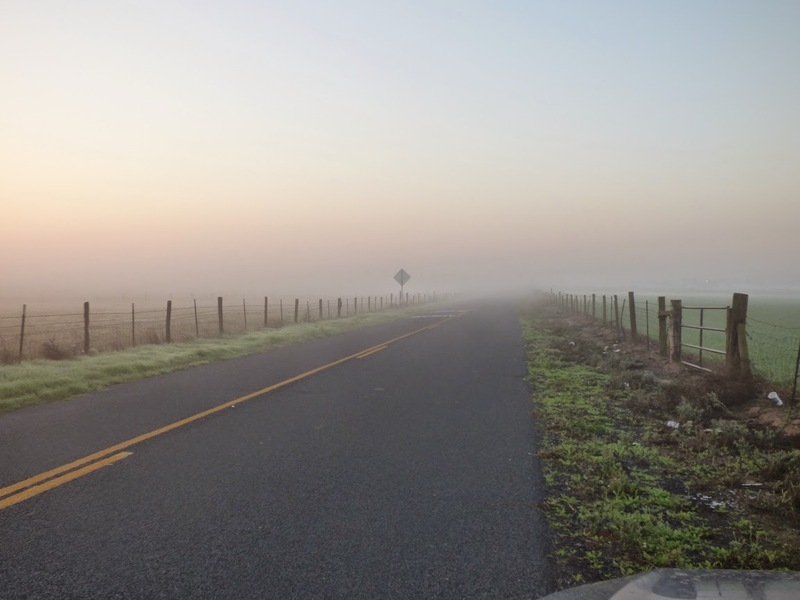 The fog makes life not just miserable, but downright dangerous for drivers. What is it like? Get on a freeway sometime, and imagine driving with your eyes closed. And then imagine that everyone else has their eyes closed too, and that some of them are in a hurry. Some people just don't know enough to slow down and horrible chain reaction accidents result. The fog sieges can last for weeks. I can remember hungering for sunlight so much that we would drive into the mountains for a few hours of respite from the gloom. The fog sets up under an inversion layer only a few tens or hundreds of feet thick, meaning the sun is shining just a few feet over our heads on the cloud tops, but not on us. But we've not had many of these weeks-long sieges of late. With the intense drought that is crippling our state, the ground has been dry with no fog forming. Even with the wet years, the long term trend is for fewer foggy days, a decrease of 46% over the last three decades. The cause is in part related to global warming. 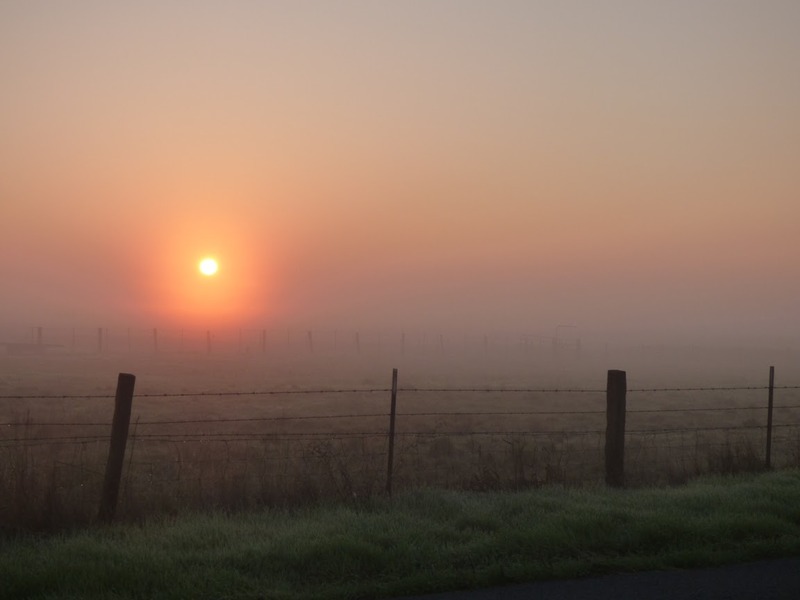 With warmer average temperatures, the fog doesn't form as often, and with increasingly persistent droughts, the ground is not wet as often. As I said in the title, I detest the fog, and I am glad any morning when I don't have to deal with a foggy morning commute. But the Tule Fog is important. The fruit and nut trees that cover our four-hundred-mile long valley require cold temperatures for a few weeks to properly set, and long warm fog-free days don't allow this to happen as frequently. When one considers that the Great Valley provides most of the fruits, nuts, and vegetables grown in the United States, this is a serious issue, and it seems to be rarely discussed among farmers and politicians who "represent" the region. The pols (and some of the farmers) are too busy denying the reality of global warming to recognize that the consequences of warming are already affecting their profit margins. The fact that the fogs are happening is also to realize that the ground is wet! We've had around two inches of precipitation so far this season. That's almost normal. The storms have been weak ones in our area, with only 0.20 inches in the last three storms, but they have kept coming and a more serious storm is on tap for the holiday weekend. They haven't been enough to put a dent in the drought, but they are an improvement over last year when we didn't reach the 2 inch mark until January. Since droughts may become the new "normal", we'll have to revel in the wet years when they come. We really need a wet year right now after three crippling dry years. I hate the fog, but I'll tolerate it if it means the drought is ending. I enjoyed your article and the photographs are beautiful.